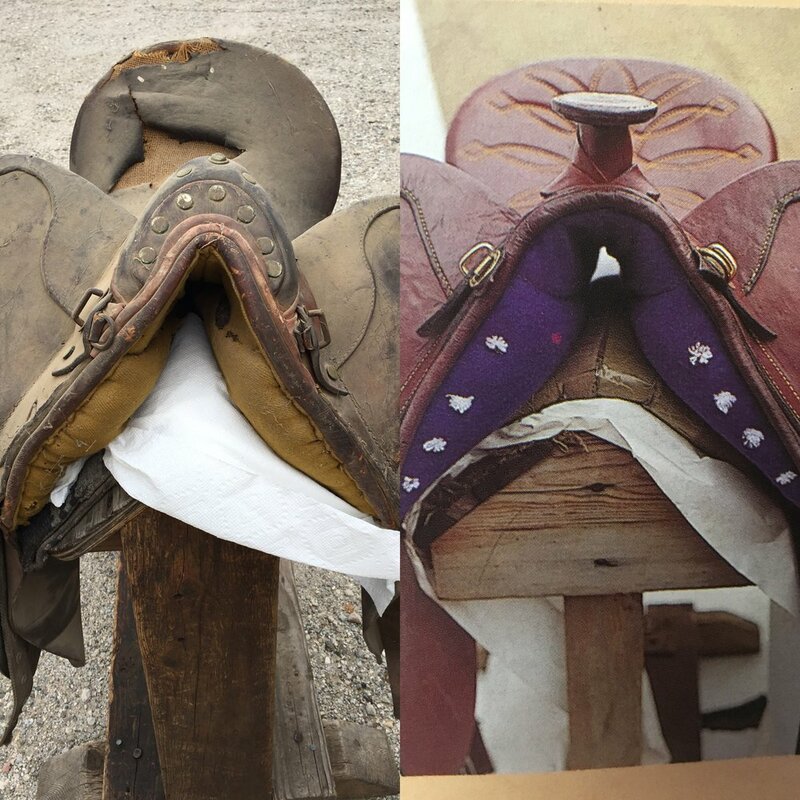 We Repair All Leather — Colin Dangaard, Inc.
WE REPAIR ANY SADDLE IN ANY CONDITION. WE ARE SECOND TO NONE IN REPAIRING ALL KIND OF AUSTRALIAN STOCK SADDLES. THAT HAS BEEN OUR BUSINESS FOR ALMOST FOUR DECADES. CALL COLIN 818 3098125 AND HE WILL GIVE YOU A QUOTE. AS YOU CAN SEE FROM THE ABOVE WORK, HE IS AFRAID OF NOTHIING!! Colin works on repairing croc skin on a saddle that suffered damage in a horse wreck. Colin and his highly skilled staff -- some have worked for him for 25 years -- are familiar with all exotic skins. Farmed crocodile from Australia is very popular, because of its toughness and luster.